Congratulations to my brother and sister in law for having Ethan Alexander. He is HUGE! 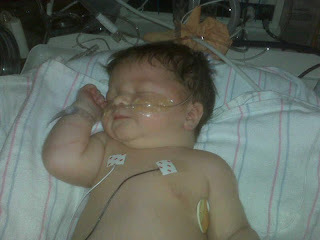 He was 10 pounds 2 ounces and he was two weeks early! Yikes! What a cutie! ah congrats on the new nephew! Great photo. He's coming home today!